Found Athletic Seating? Here’s What’s Next. Athletic Seating folding chairs and courtside furniture are built with a focus on comfort and quality. If you’ve spent any amount of time wandering around our blog, you understand the difference between a gymnasium or athletic facility that’s outfitted with high-quality, customized folding chairs and locker room stools and organizations that settle for ones that are uncomfortable and unimpressive. If you’re new to Athletic Seating, we’ll sum things up for you. When it comes to taking care of your players and the VIPs who support your team, keeping them comfortable during every game is essential. That’s why products such as our Model 3400 Chair work so well courtside and our Model 118 Stool is the ideal solution for locker room seating. Every year, schools lay out their annual budget – and every nickel and dime has to be battled for and justified. 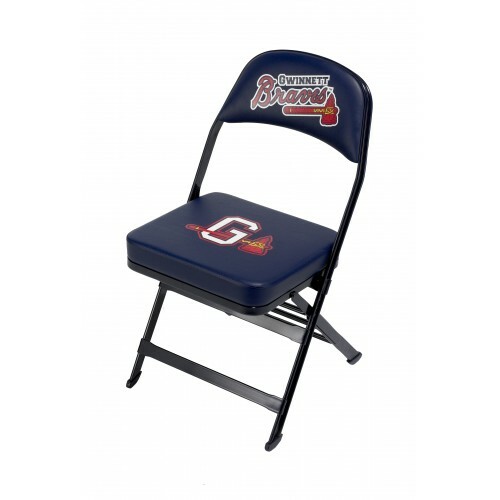 Making a good investment on folding athletic chairs and locker room stools is essential. This is why we carry Clarin products that have already stood the test of time in athletic facilities across the USA for generations. Beyond comfort and durability, the final piece of the puzzle at Athletic Seating is giving our customers the ability to customize their products to suit their team, school, and athletic facility. On products from our Model 3-3400 Wide Chair to our Model K2-1 Stool, we offer customers a wide variety of choices. They can choose the metal frame color and vinyl color. Our products can also be printed with your school name, team logo, or the name/logo of a VIP or sponsor. Depending on the product, we can print on the seat, chair back or even the front edge of the seat (for maximum visibility). Perhaps you placed an order with Athletic Seating last year and are delighted with your purchase – or maybe you’ve got an order in the works now and feel that something’s missing. Here’s how you can use our products to take your gymnasium to the next level. Our Model 2617 Chairs are fantastic. They’re lightweight, are easily set up and taken down, and look amazing when they’re all laid out. There’s no better way to send a message to your team – as well as your opponents – that your school is in it to win it. What do you do with all of those chairs once the event is over? Don’t stack them up against a wall or throw them in a storage closet! To keep them organized and in top-notch shape, our Double Tier Storage Cart is an ideal accessory. Each cart can hold up to 36 or 48 chairs and can be sold with or without K braces. Our carts are heavy-duty and situated on wheels for ultimate portability. They also feature bumpers on each corner to protect your walls as you wheel them around. For long-term storage, make sure you get a Double Tier Storage Cart Cover. No one wants to dust dozens of folding chairs, and this will ensure they emerge looking just as good as the day you stored them. Have questions? Need help figuring out what items to order? The team from Athletic Seating is here to assist you! Contact us and let’s get an order started today! This entry was posted in Locker Room Stools, Logo Folding Chairs, Logo Seating Chair, logo stools and tagged athletic chairs, Basketball Court Chairs, Basketball Sideline Chairs, chairs for athletic events, Custom logo chairs, folding chairs, school chairs with logo, Sideline Chairs, Team Folding Chairs. Bookmark the permalink.